Organic chemistry contains a number of reactions and reagents that have been named due to their widespread useability in chemistry. 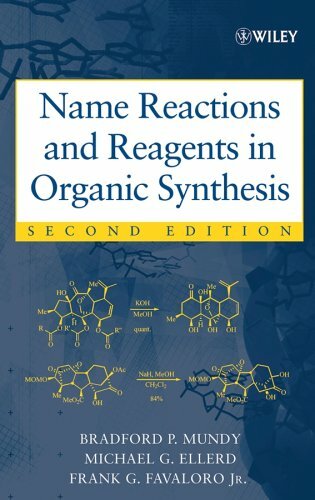 This text provides details of these named reactions and reagents, allowing the chemist to explain diverse chemical phenomena in terms of several basic principles. BRADFORD P. MUNDY is Professor Emeritus in the Department of Chemistry at Colby College in Waterville, Maine.MICHAEL G. ELLERD is an environmental organic geochemist at Maxim Technologies Inc., and serves as the health and safety training program manager and the health and safety officer for Maxim's Northwest offices.FRANK G. FAVALORO Jr. is currently employed by Helicon Therapeutics, Inc., located in Farmingdale, New York.